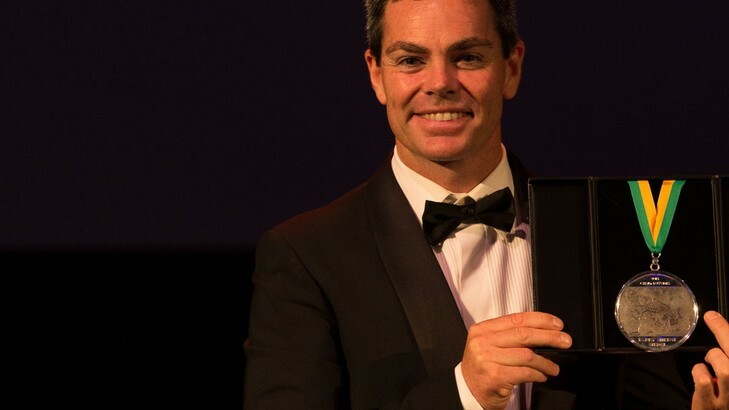 The ‘people’s Champion’ Craig Lowndes may be waiting for another year to take a fourth V8 Supercar title but picked up another win as the sport glammed up for tonight’s annual Gala Dinner awards at The Star in Sydney. Lowndes went within one race of overcoming Red Bull team-mate Jamie Whincup for the Championship title at the Sydney NRMA & Motoring Services 500 yesterday, then tonight picked up the Barry Sheene Medal award as the best and fairest of the sport. It was the fourth time Lowndes has been voted by the media as the most popular figure on the sport as race suits were swapped for bow ties at The Star and the WAGs got their chance to don the frocks on the red carpet. Lowndes at least now has some bragging rights over two-time Barry Sheene Medallist Whincup. Marcos Ambrose also won the award twice when he dominated the Championship in the early 2000s. Whincup was again endorsed as the 2013 V8 Supercar Champion and the winner of the most ARMOR ALL Pole Positions, while Mark Winterbottom and Steven Richards were honoured as the Supercheap Auto Bathurst 1000 Champions. 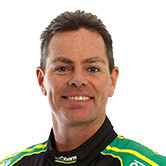 Scott McLaughlin’s outstanding rookie season, including victory in his native New Zealand, was justifiably named as the prestigious Mike Kable Young Gun, or rookie of the year, following in the footsteps of Marcos Ambrose, Mark Winterbottom, James Courtney and Chaz Mostert. Dale Wood was honoured as the 2013 Dunlop Series Champion for his GB Galvanising/Wilson Security Falcon for Matthew White Motorsports. The Daily Telegraph and Sunday Telegraph took out the Media Award for their outstanding year-long coverage of the season, highlights being the Clipsal 500 in Adelaide, Supercheap Auto Bathurst 1000 and the NRMA Motoring & Services 500. Holden was the Champion Manufacturer of the Year and the Sargent Security Phillip Island 360 volunteers won for the best volunteer group.